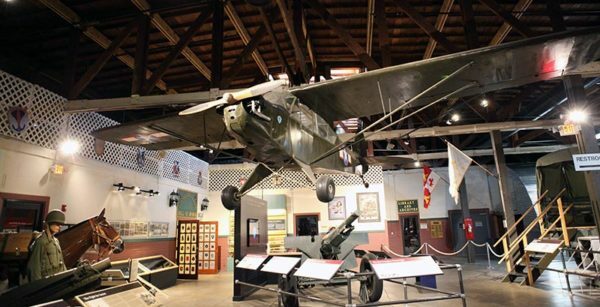 Casey: The museum is home to a collection of running vehicles, exhibits, and a vast military history archive relating to Texas armed forces, with an emphasis on the 36th infantry division during World War II. 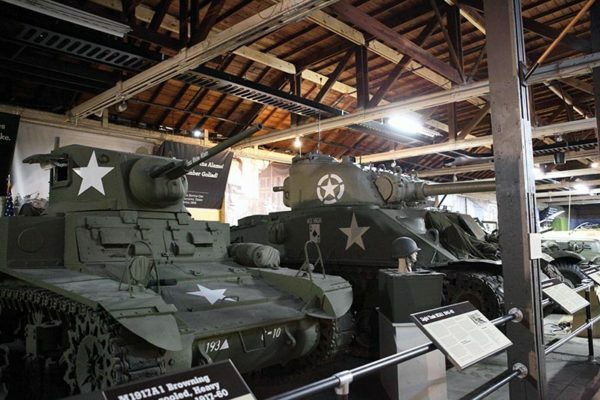 We had 16 players battle it out in the museum’s Hall of Heroes and in front of legendary vehicles such as a fully operational Hetzer, Hanomag, Stuart, and every Bolt Action player’s favorite the infamous 105mm Sherman! I was fortunate enough to have eight axis players and eight allied players to start the first round with. 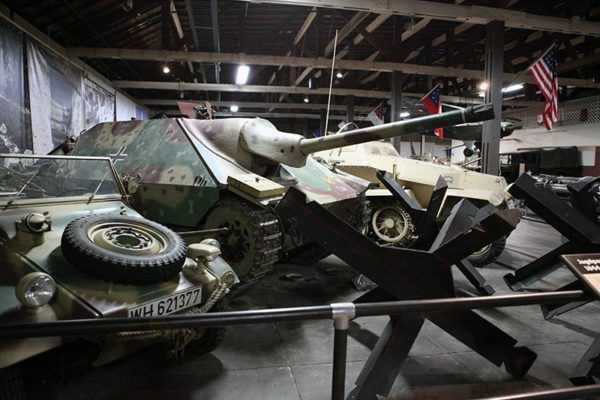 The days forces even included two Finnish and one Belgian army! 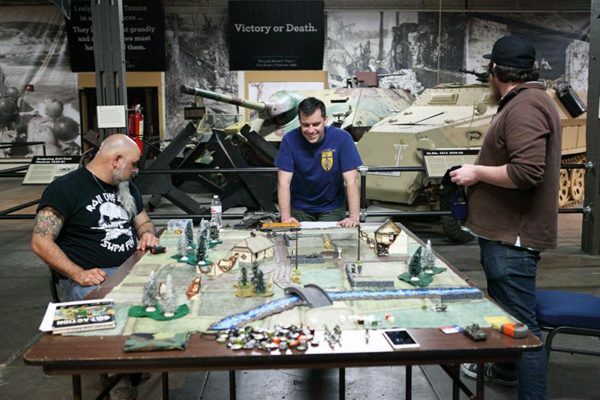 Players started the day with a 1250 point game of Point Defense, followed by a 1000 point game of Bolt Action Alliance’s Breakthrough scenario, and the final game was a 600 point game of Demolition. Players had a great time and enjoyed starting with higher point games followed by the lower point matches. Highlights include one player rolling four FUBARs in one game, an assault where both players were forced to roll their dice four times till they were able to cause a casualty, and of course pizza! 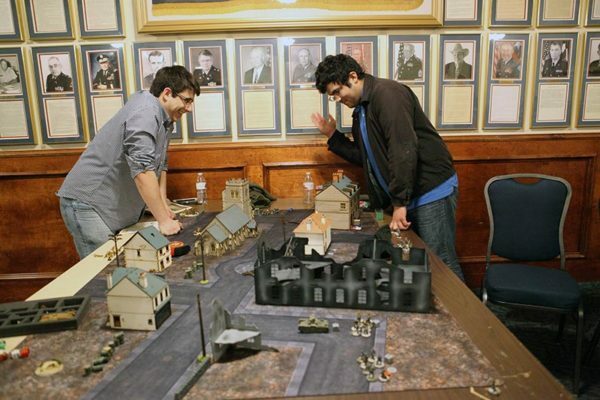 The fantastic prize support was appreciated by all who attended and I would also like to personally thank Jon Russell and Andrew Chesney of Warlord Games for their support in making this event possible. Also Patch and Anfernee of Bolt Action Alliance who were instrumental in helping me organise the event and passed down expert advice from their lessons learned in hosting events. 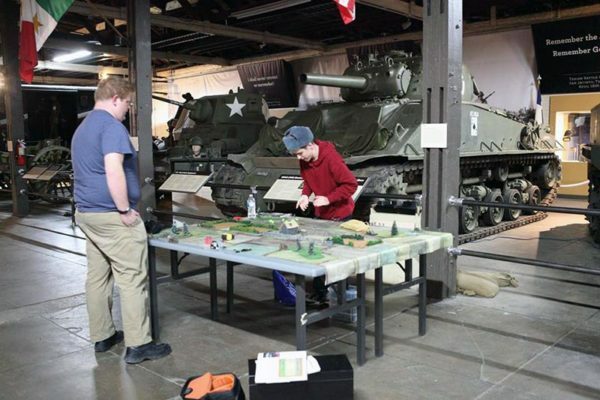 Texas Bolt Action is now one of the largest Bolt Action groups in the United States and it could not be possible without having such a great community of players. 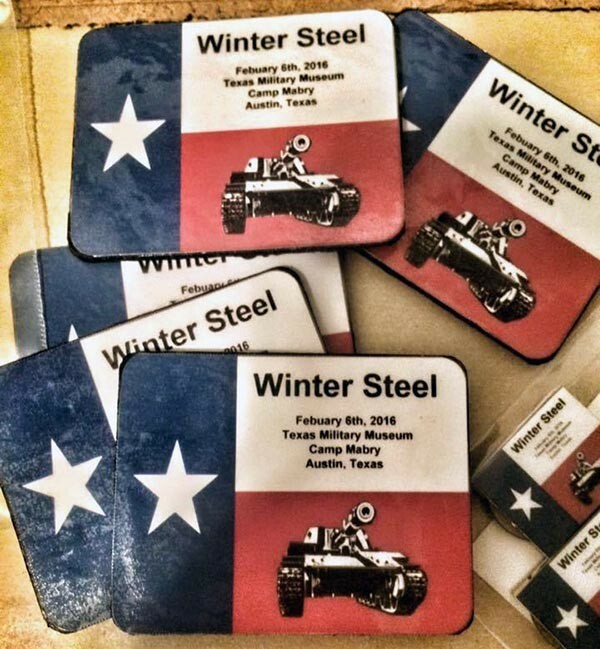 We have events planned all through the year with the first ever Texas Bolt Action championship planned for November 12th at MilleniumCon19 in Austin, Texas (keep your eyes posted on our events page later this year). 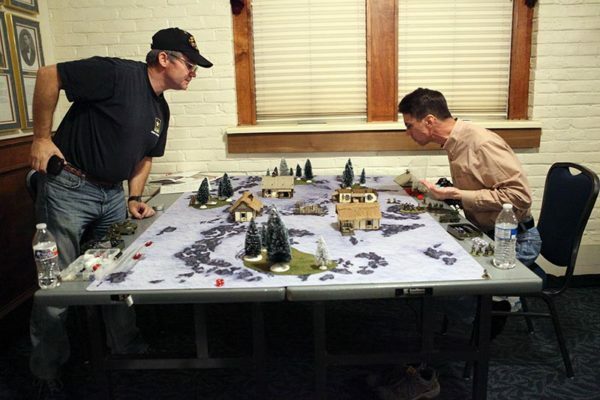 Come check us out at Texas Bolt Action on facebook and share your projects, pictures, or just say howdy! What an awe inspiring venue! 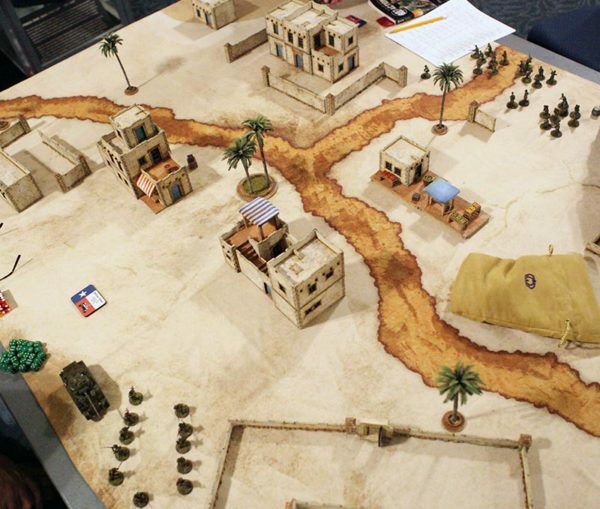 If you’ve an event coming up be sure to let us know at info@warlordgames.com Or just share you battles and experiences with us over on the Warlord Forum. See you at an event near you soon!